Is your school environment a place all students look forward to coming to? Infuse positivity by incorporating the teaching of kindness values into your lesson plans. Create a safe and positive learning environment that allows all students to feel important, valued, appreciated and heard. Inspire students to be their best. Why Kindness at School Toolkits? We believe schools play a critical role in the social and emotional development of students. The Kindness at School Toolkits provide a structured approach to supporting and nurturing this development. Teach the values of Courage, Compassion, Generosity, Gratitude, Inclusion, Integrity, Optimism, Respect, and Self-Awareness in a fun and effective way. • How would your students define compassion? • Do they understand the ripple effect of compassion in action? • Would your student be able to define the qualities of courage? • Do you support your students to overcome their fears and obstacles? • If asked, would your students be able to explain the concept of giving and generosity? • Would they know that generosity is about the giving of time, energy and talent? • If asked, would your students be able to explain the concepts of gratitude and appreciation? • Do your students have an “attitude of gratitude”? 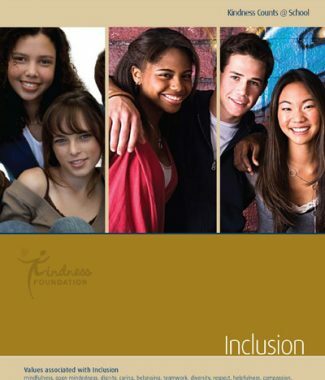 • How would your students define inclusion? • Do your students value and honor all opinions, even when they don’t agree with them? • If one of your students found a wallet with money in it, what do you think they would do? • Would your students be able to tell you why integrity is important? • Do your students have positive attitudes that others enjoy? • Do your students feel empowered with positive choices in all situations at school? • Do your students exhibit politeness by remembering to say “please and thank-you”? • Do your students refrain from name calling, bullying, or using insulting language to harm others in person or on social media? • Do your students understand the impact their emotions have on their classmates? 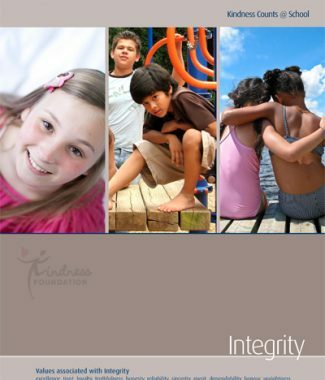 The Kindness at School Toolkits (lesson plans) were designed as a proactive character building program. We purposely took a positive, proactive approach rather than focusing on anything negative. Our goal is to improve student’s understanding of the power of individual words and actions in the creation of a positive, accepting, safe, and kind school culture. This understanding, like all learning, will reach beyond the school to enrich their lives and the lives of others within the greater community. 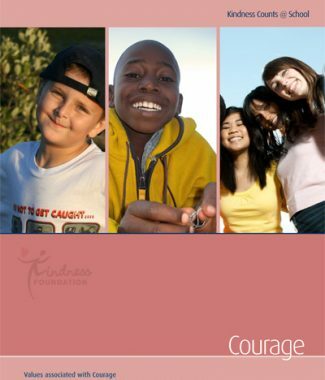 The resource includes a series of lessons (toolkit) on each of the following aspects of kindness; Courage, Compassion, Integrity, Self-Awareness, Respect, Generosity, Gratitude, Inclusion, and Optimism. The Humour Toolkit is in development and will be available soon. The toolkits were developed with an upper intermediate audience in mind and are aligned with the British Columbia, Prescribed Learning Outcomes for Language Arts, Social Studies, and Health and Career Education. However, the toolkits would be appropriate and easily adapted for use at other grade levels. The environment for the development of appropriate self-regulation and social responsibility does not exist in the greater community as it has in the past. For most students schools are increasingly important as the community where they learn and practice these important skills so that they can be carried forward as students move on into high school and their adult lives. This learning is one of the most important contributions that schools make toward the creation and maintenance of a civil society and why schools remain important institutions in our society. Schools, therefore, have and must continue to take on more and more of the responsibility for the development of social responsibility in their students. The toolkits are not intended to be used in any particular order nor is it necessary to present all of the lessons within a particular year or grade level. Our intent was to develop a resource that would offer the most flexibility to teachers and schools as we try to nurture the development of social responsibility within our students. The variety of lessons allows teachers or schools to find some alignment between a school goal, a district initiative, a student leadership program, or an identified need within a school, class, or grade level. We feel that they could become an important part of any school’s or a district’s ‘Erase Strategy’ or other social responsibility initiatives. It is hoped that by working through any of the lessons in our resource, students will understand, develop and have an opportunity to practice these important components of kindness and witness their positive influence in action. 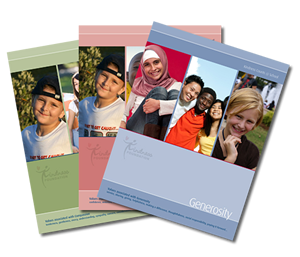 This is a bundle that includes all 9 Kindness at School Toolkits!